WHEN I first came to live in Ashford, I didn’t give a whole lot of thought to the name of the town – it was just a pleasant outpost from which to commute into London and close enough to allow us to get out into the country in a very short time. But, of course, the reason there was a settlement there in the first place was quite simply because it was a place to cross the River Ash. It’s a small tributary of the Thames that is fed by the River Colne and currently flows just six or so miles from Staines Moor, under the Crooked Billet roundabout, alongside Shortwood Common, past Ashford and then to the west of the Queen Mary Reservoir before skirting the backlot at Shepperton Studios and finally joining the Thames in the creek behind Sunbury Weir. 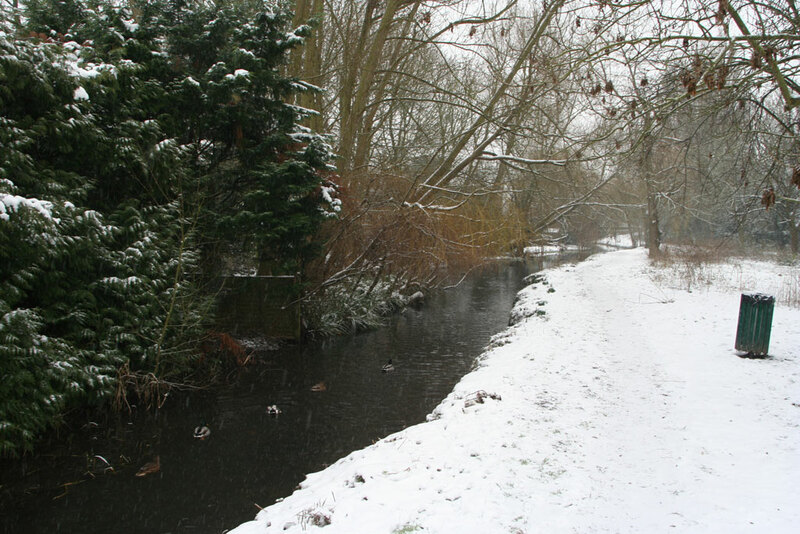 It’s not much of a river, in truth, a generally slow-moving and shallow waterway that ambles along and provides a pleasant backdrop for some of the householders in both Ashford and Shepperton. But it’s a waterway that has been much affected by man during its life. The course of the river had to be changed to accommodate the building of the Queen Mary Reservoir between 1914 and 1924 and again when the construction of the Staines by-pass took place in the early 1960s. As I say, the Ash is generally a docile creature but it turned into a beast during 1947 when high water levels on the Thames combined with flood prevention works on the Colne caused the Ash to burst its banks and flood a number of homes and roads along its course. There was thought to be a risk of renewed flooding following an upgrade to the water treatment works at Ashford Common by Thames Water in 1994. The works discharges into the Ash near the M3 putting properties in Old Charlton Road, Shepperton in the firing line and that led to a flood relief channel being constructed early in 1995 at a cost of £450,000. 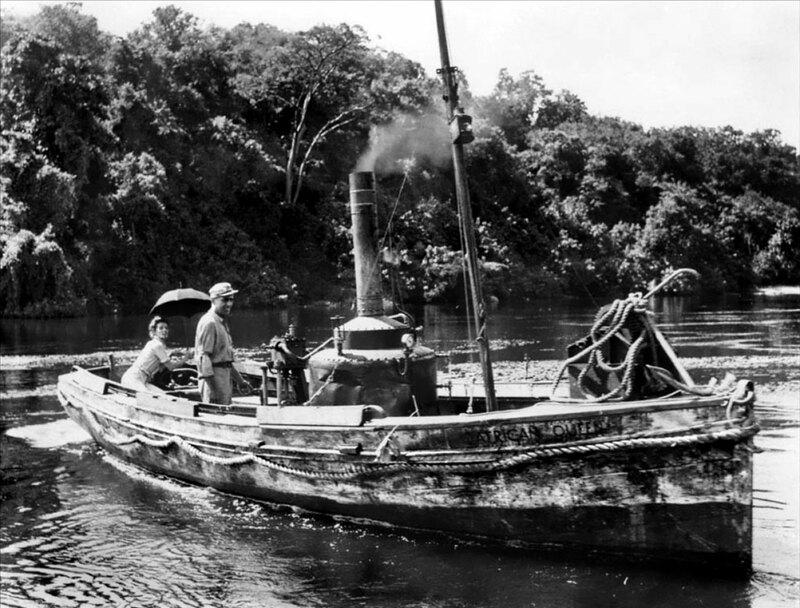 One of the Ash’s main claims to fame was that it featured – albeit briefly – in the classic 1951 movie the African Queen, starring Humphrey Bogart and Katherine Hepburn, which was filmed at Shepperton Studios. 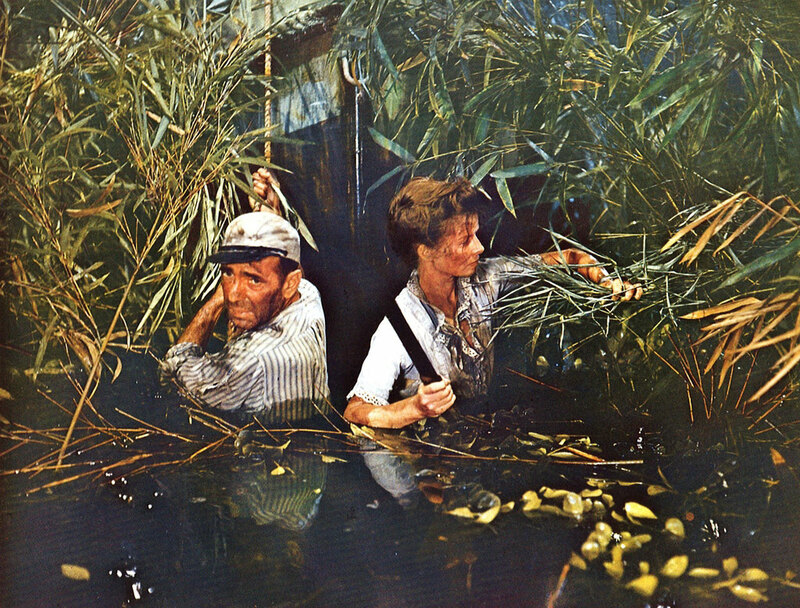 As I understand it, the scene where Bogart is forced to get out of the old river boat and tow her through binding weeds in order to get back to the main course of the river, was shot mainly on the Ash. Mind you, I think it was taking things a bit far to suggest that the Ash was full of leeches! The river also featured in the making of the 1935 film, Sanders of the River, starring Leslie Banks and Paul Robeson. Whatever the river’s history, I’m rather glad that Julie and I choose Ashford as a place to settle down and bring up our kids. Now, when we occasionally take my daughter and son-in-law’s dogs for a walk, it’s delightful to know that we can stroll along the banks of the Ash watching the ducks and keeping half an ear open in case we can pick up the sounds of the African Queen’s old steam engine in the distance.